Durango, Colo. (May 12, 2016)—Ska Brewing announces the release of Hop Ivy in cans— its first canned craft beer sourced entirely with Colorado ingredients. 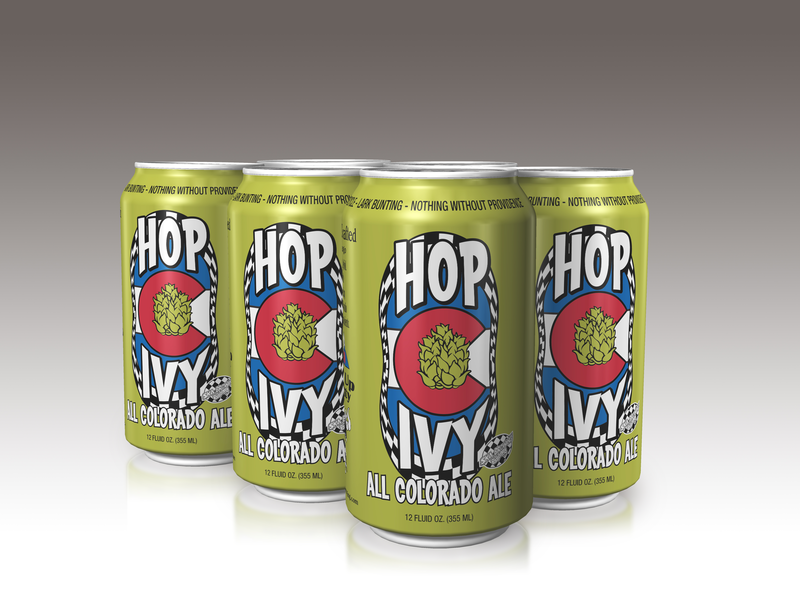 Hop Ivy is Colorado’s first craft beer to reach Platinum Certification status through the Real Colorado Beer Project. The project was created to support the local Colorado economy as well as help the consumer recognize real Colorado beer. "For the first time ever the power is in the hands of the Colorado beer drinker,” said Colorado Malting Company Co-founder Jason Cody. “ The Real Colorado Beer Project is the first project of its kind that allows consumers to check out the ingredients in their beers. Simply by visiting the website beer enthusiasts can see if their beer is Real Colorado." Hop Ivy is a twist off of Ska’s previous semi-local Hoperation Ivy, a wet hop ale made with freshly picked hops from various small hop farms around the state. Like Hoperation Ivy, Hop Ivy is a hop-forward pale ale showcasing local Chinook and Nugget hops harvested at Simply Grown LLC hop farm in Palisade. The malt barley is grown and malted at Colorado Malting Co. in Alamosa and the yeast is from the Brewing Science Institute in Woodland Park. Fresh snowmelt from the mighty San Juan Mountains is the source of Hop Ivy’s water. Hop Ivy will hit shelves statewide the week of May 16, 2016. Coloradoans, ask for it at your local liquor store! Based in Durango, Colorado, Ska Brewing was founded in 1995 and produces over a dozen award-winning beers. Pioneers in the canned craft beer movement Ska Brewing is known for an array of styles in 12-ounce cans including Modus Hoperandi, Mexican Logger, Euphoria and Pinstripe. For information (a lot of it), music, and a good time, visit www.skabrewing.com. Plug in to the latest updates, beer releases and shenanigans at facebook.com/skabrew and twitter.com/skabrewing.